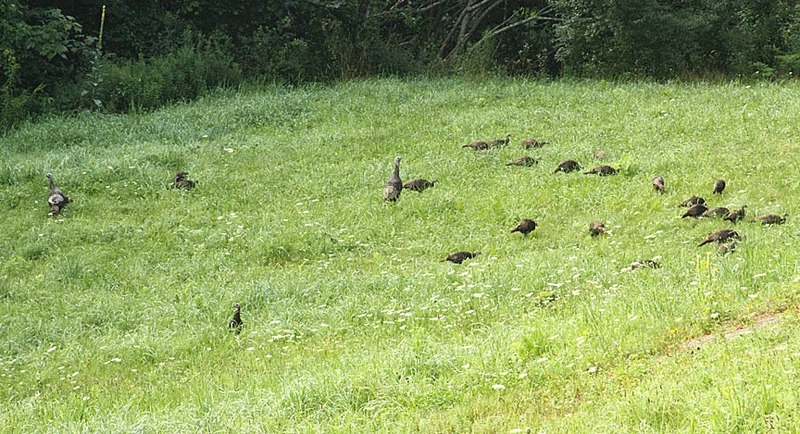 Yesterday morning, 4 adult females and 35 young poults of various sizes nibbled their way through our field. The adult females acted as look-outs, watching over their young charges. It's quite common for hens and their broods to join with other females. Adult females without young may also join as foster moms. 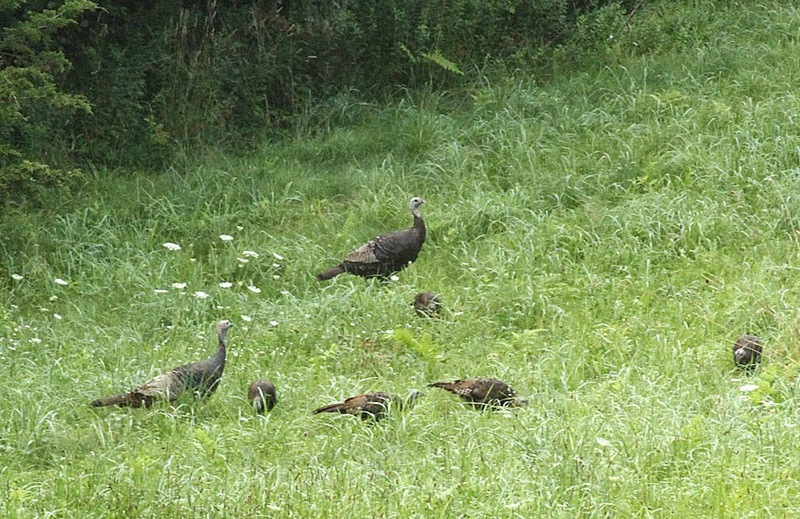 The term “brood” refers to a family group of young turkeys accompanied by a hen. New Hampshire hens generally begin laying eggs from mid-April to early May and complete their clutch of about 12 eggs in early to mid-May. Incubation lasts for 28 days, and most nests hatch from late May to mid-June. 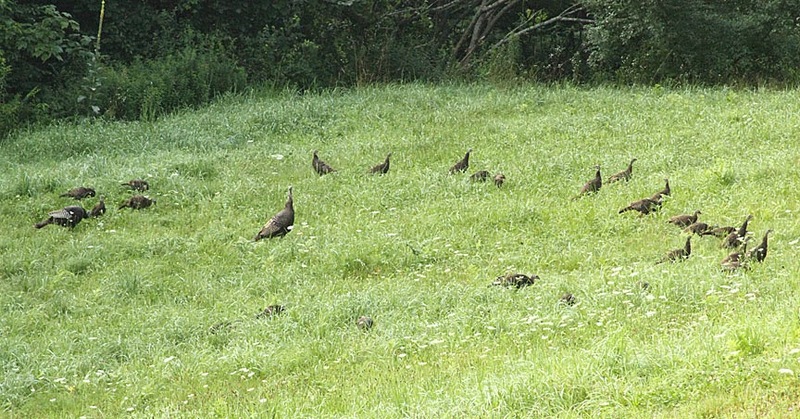 If incubating turkey eggs are destroyed or consumed by predators, hens often lay a replacement clutch of eggs that hatch late June through late August. 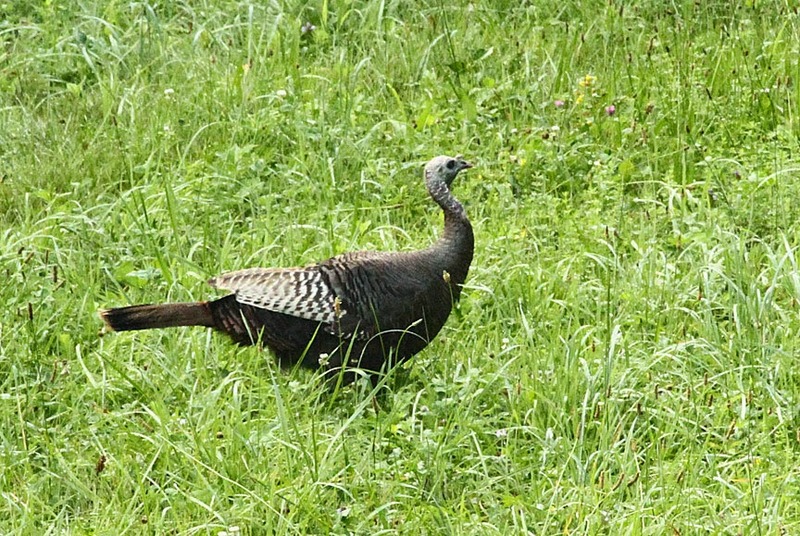 The idea that Benjamin Franklin preferred the turkey as the national bird comes from a letter he wrote to his daughter Sarah Bache on January 26, 1784. 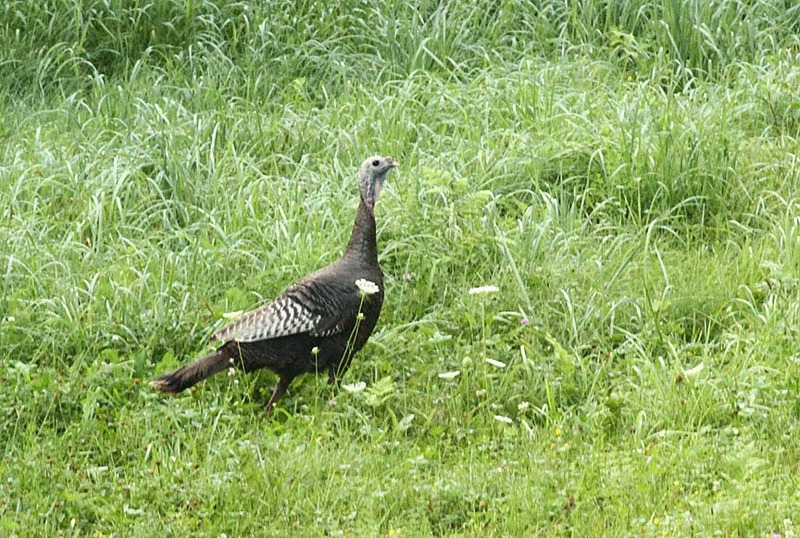 "For in Truth the Turkey is in Comparison a much more respectable Bird, and withal a true original Native of America... He is besides, though a little vain & silly, a Bird of Courage, and would not hesitate to attack a Grenadier of the British Guards who should presume to invade his Farm Yard with a red Coat on." 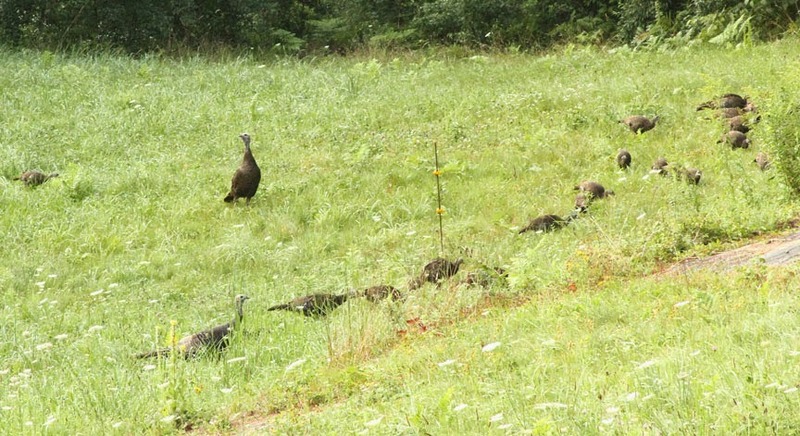 So if you see turkeys, make a note of the time, place and number and send in a report.